Even though it feels like January here in Georgia, it's only a week and a half until Thanksgiving! Yaay! My favorite holiday is almost here! It's time to pull out the old family recipes and start my grocery list. I can almost taste the turkey and dressing and pecan pie! And my tablescape is sitting on ready...this year with a rustic farmhouse Thanksgiving theme! I've used my favorite galvanized tool box filled with lots of natural elements and texture as the centerpiece along with my go-to chunky plates and pewter flatware. Head on over and get a closer look here! Now I can't wait to see what you have to share so let's get on with the party! Hi friends old and new!!! WELCOME to The Scoop! Nothing evokes memories of holidays past like the wonderful smells associated with them! And for me, the smell of Christmas is Evergreen and Gingerbread! I'm partnering with Thymes Fragrance Studio™ to bring you the delicious aromas of the season! Stop by StoneGable and take part in a fabulous Thymes Fragrance Studio™ GIVEAWAY! 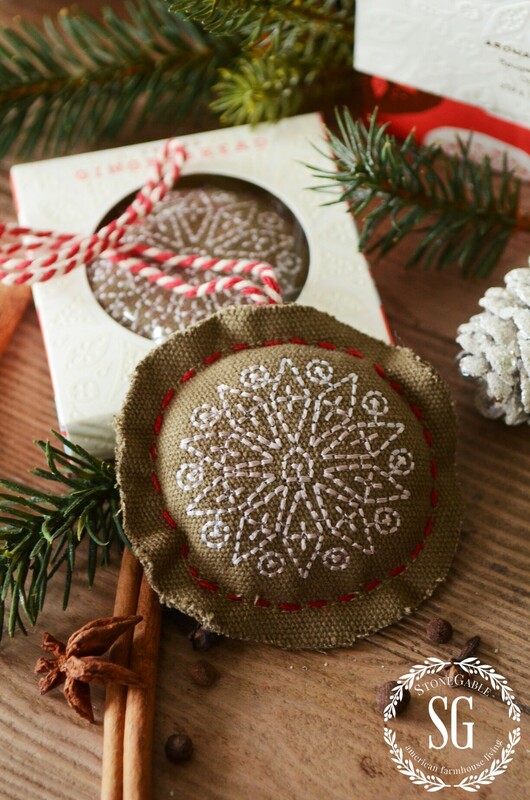 Gingerbread candles, hand soap, hand lotion, room spray and a darling gingerbread sachet that can also be hung on the tree are all part of this scrumptious Gingerbread giveaway! Head over to StoneGable by clicking HERE. 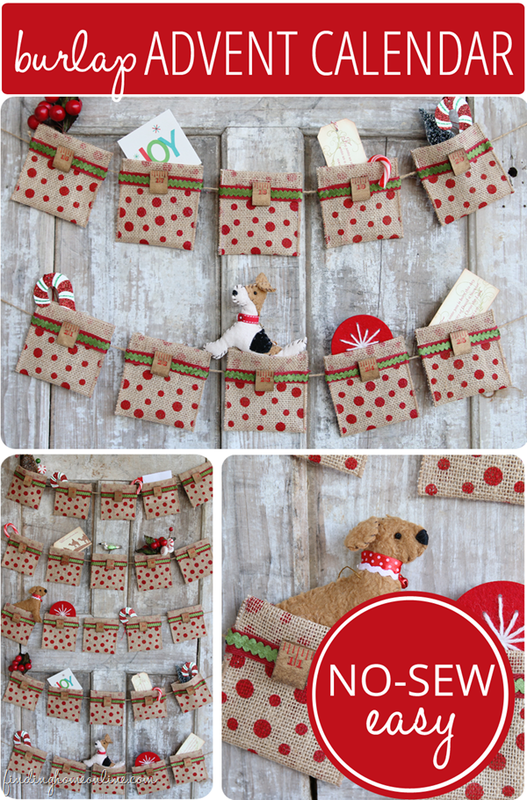 If you are looking for a fun ADVENT CALENDAR for your home this may just be it! It's ADORABLE, Laura! Stop by Finding Home for all the details! 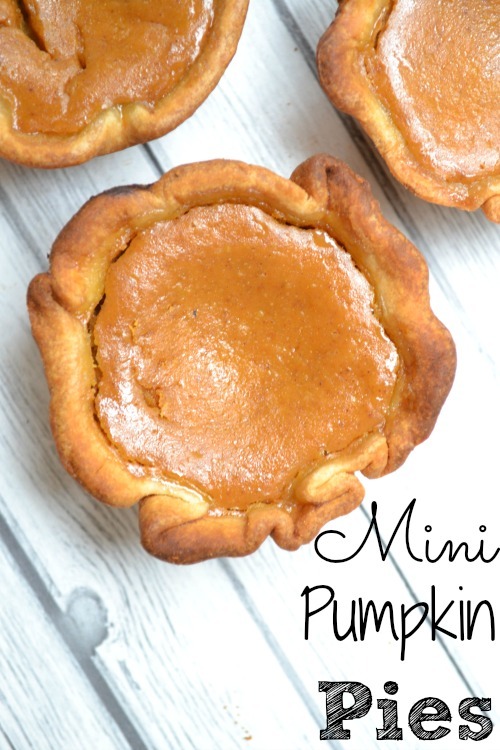 Aren't these MINI PUMPKIN PIES adorable? Check out Luv A Bargain. Thanks, Sherri! 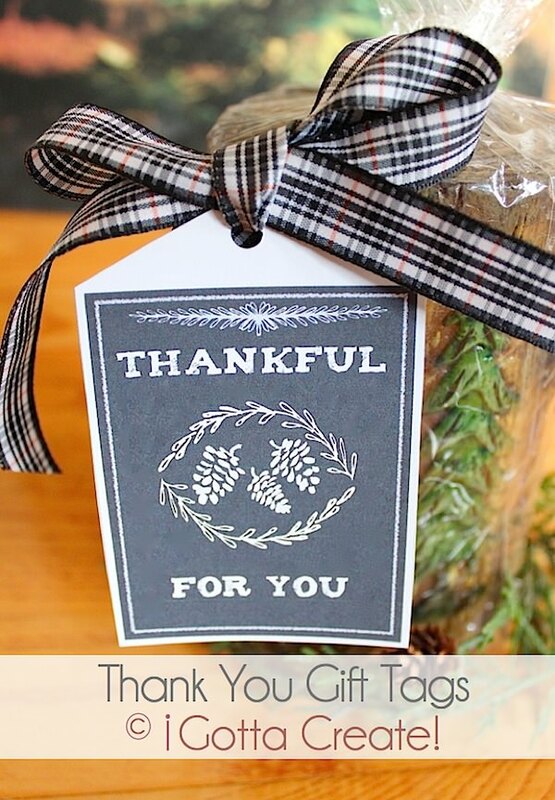 Christina from I Gotta Create made these printable THANKSGIVING TAGS...just perfect to place at the Thanksgiving table! 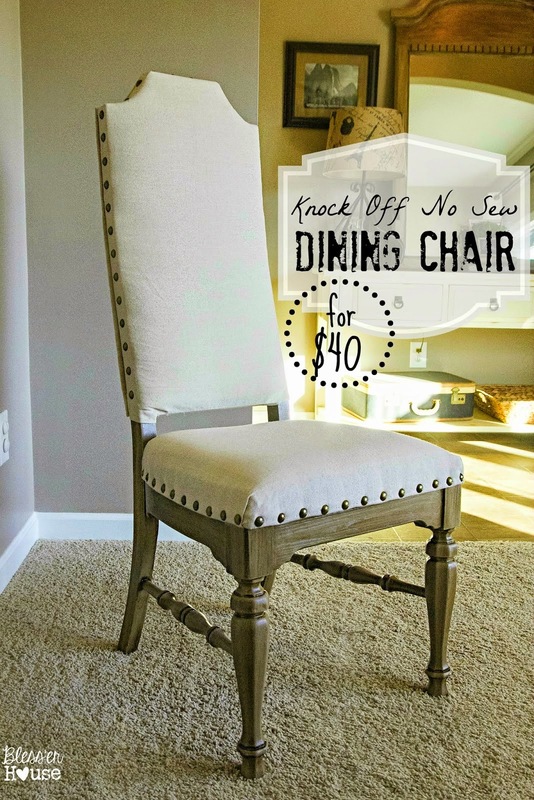 Laren from Bless'er House upscaled these NO SEW UPHOLSTERED CHAIRS. Fabulous! They look like they came out of a catalog! 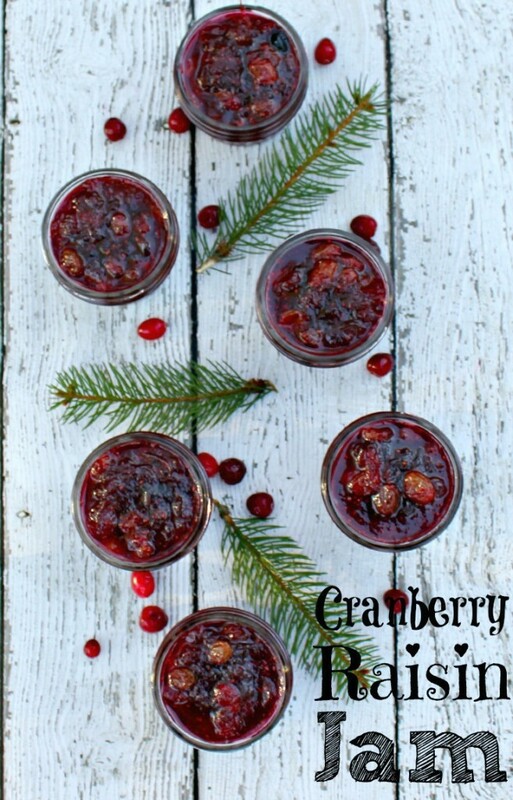 Oh, does this CRANBERRY RAISIN JAM look amazing! 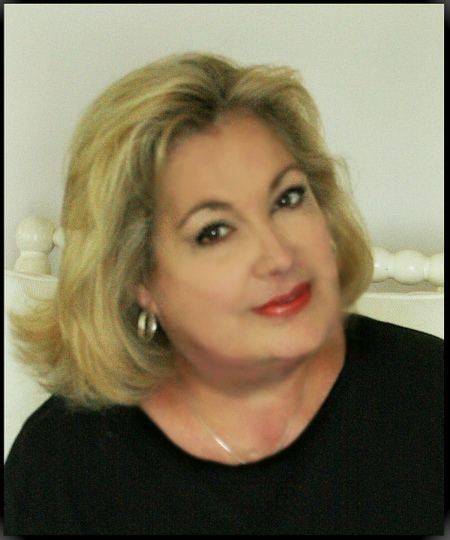 Head over to Confessions Of An Overworked Mom and get the sticky-good recipe from Ellen! 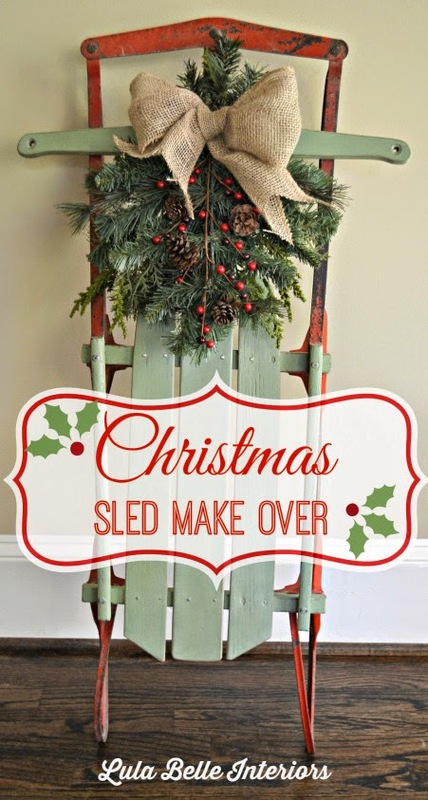 This CHRISTMAS SLED MAKEOVER from Lula Belle Interiors melts my heart! I love that little boxwood wreath. Great features. Thanks for hosting. Thank you so much for hosting. Nice features too. 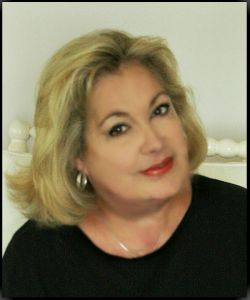 Thank you for hosting The Scoop, Debbie! Have a wonderful week! Thanks so much for hosting. Such a great party. Thanks for hosting ladies! Love your party! Beautiful table! Thanks for hosting!